Fire up the grill and serve up a sunny afternoon of good food, family and fun! 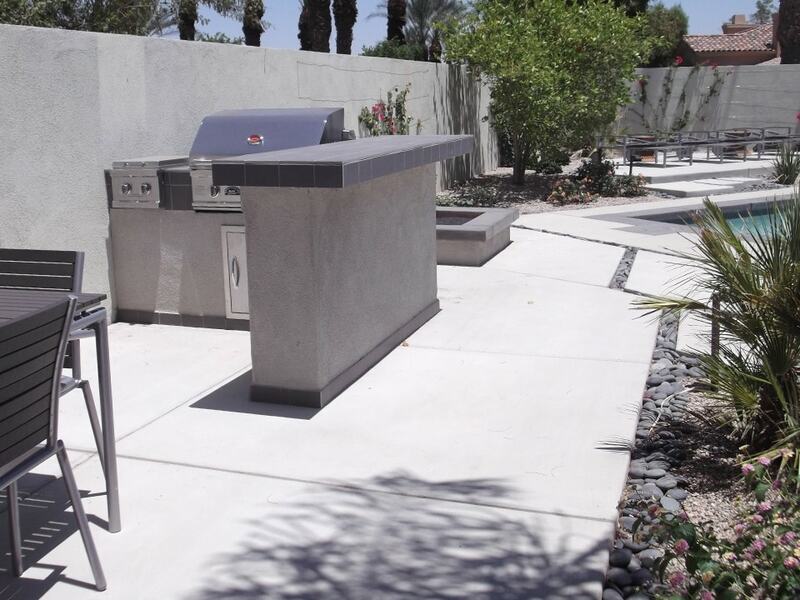 American Heritage Pool Corporation designs and constructs barbecues and outdoor kitchens for both commercial and residential properties. 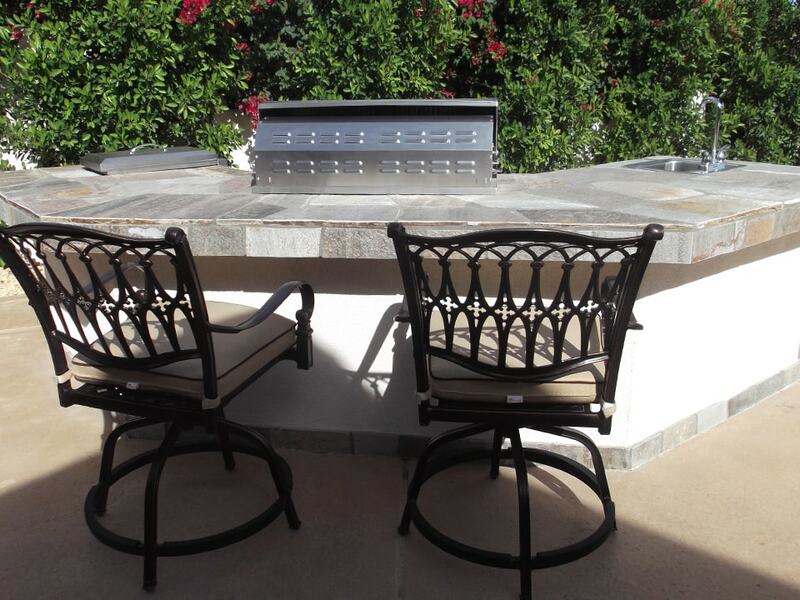 Our custom outdoor settings are made to accommodate your property and meet your design specifications. 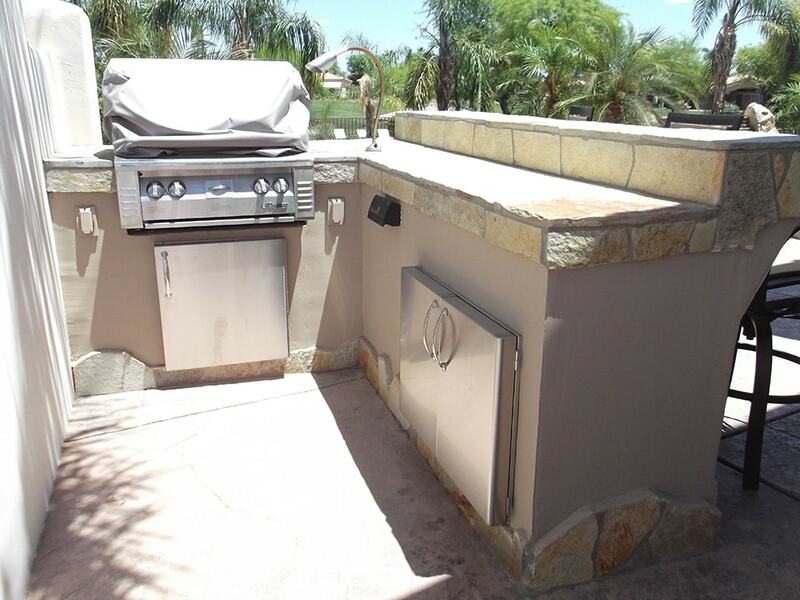 Design your barbecue or outdoor kitchen with whatever size island and amenities you desire. 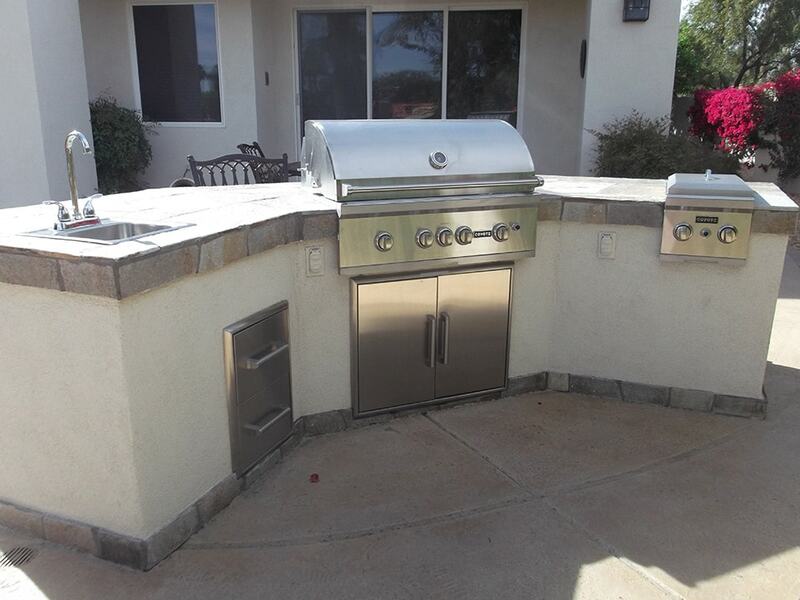 Using only the best professional outdoor gas grills you will be able to watch the activities while you create that wonderful feast. 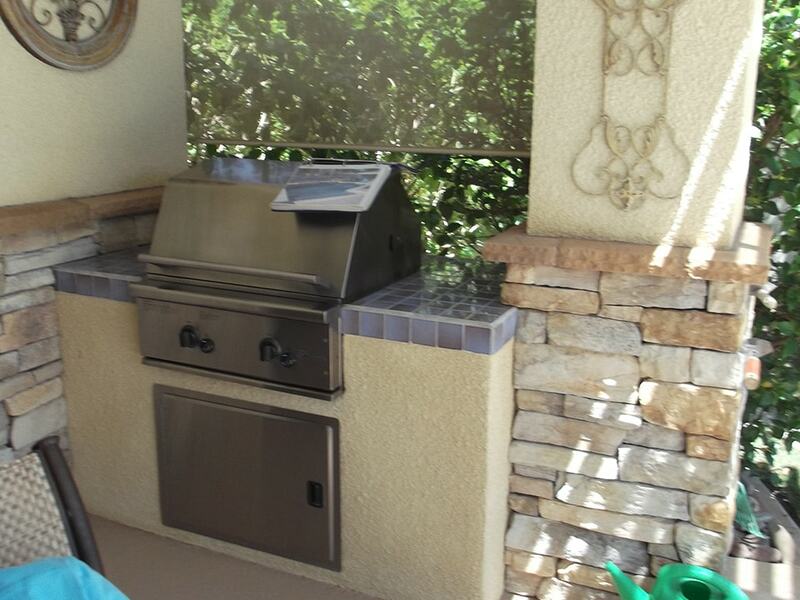 We install high grade grills with only the latest technology and modern conveniences of our time- like rotisseries. But you don’t have to limit yourself to simply a barbeque grill. We can include side stove-top burners, hot-and-cold sinks, trash compactors, refrigerators, and even a pizza oven. Your island will come with stainless steel access doors, but we can add custom items, such as drawers, under counter lighting, and a wide array of counter-top options.